This eye catching piece by Joshua Concha is a real statement ring. 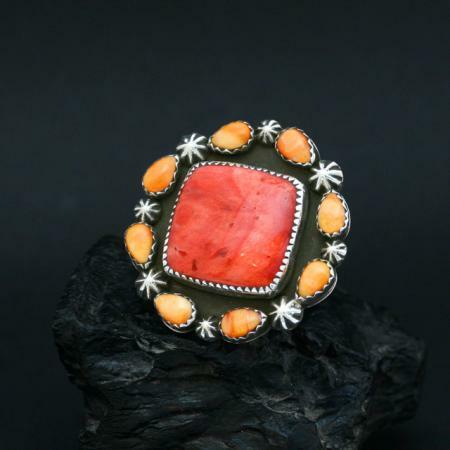 Hand crafted in sterling silver and set with red and orange cabochons of spiny oyster shell this ring is perfect for someone who likes their jewellery to be noticed. 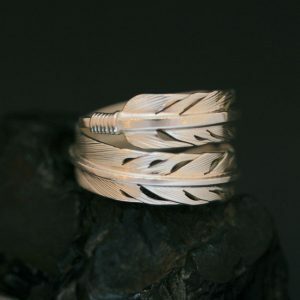 The tapered silver band has a stamped arrow decoration for protection. The eight orange stones are interspersed with silver suns. 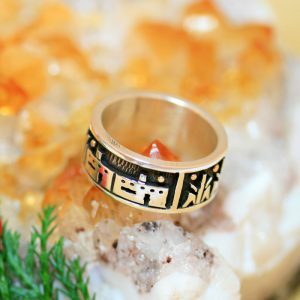 This ring fits UK size N, US size 7. It measures 33mm across. 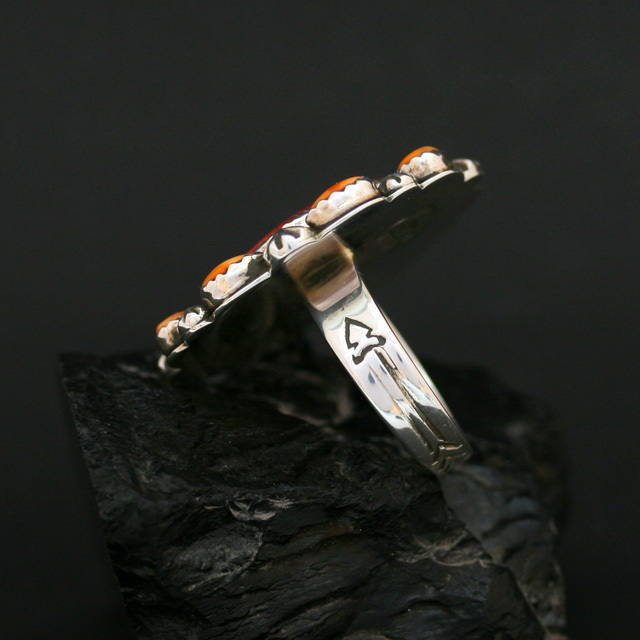 Joshua Krishna Concha is a jeweller from Taos Pueblo in Northern New Mexico. 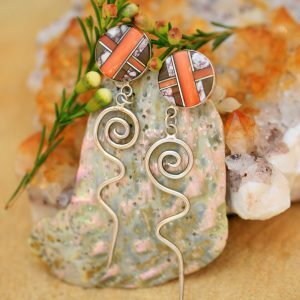 Joshua Krishna Concha is a jeweller from Taos Pueblo. Taos Pueblo is a small Indian village in Northern New Mexico. It is the northern most of the New Mexican Pueblos and was historically a trading place between Plains tribes such as the Comanche and the Puebloan peoples of the Rio Grande Valley.